August 19-20, 2017: Introduction to Woodturning | The North Carolina Furniture School. Join us for two full days of woodturning! 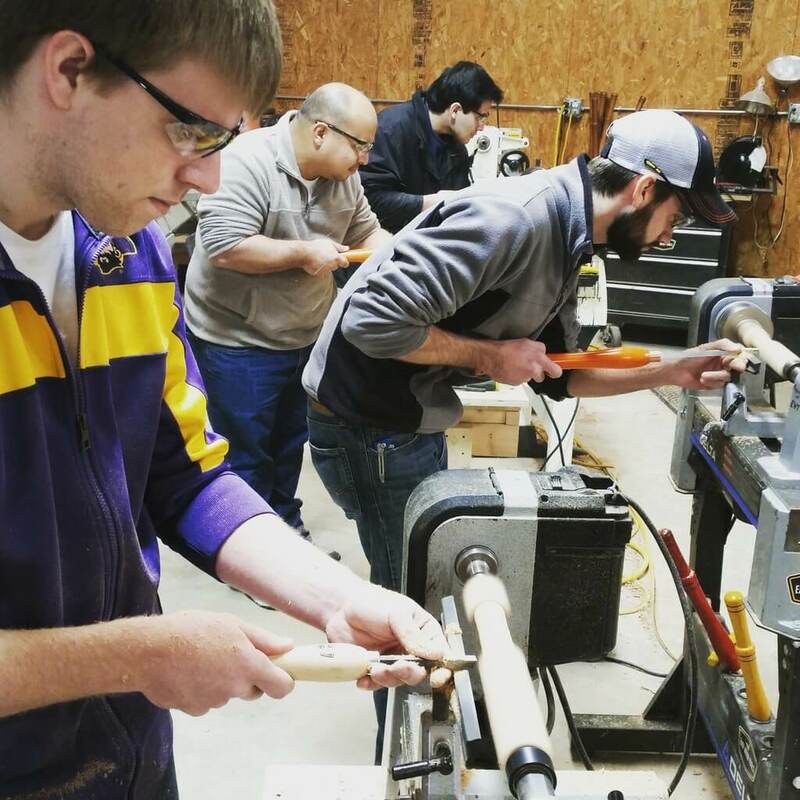 This course is designed to introduce you to the tools and techniques for safe, efficient woodturning. It’s a good course for all skill levels because it starts with the basics, provides a strong foundation in shop safety, and launches you right into fast and efficient woodturning. You will gain a solid understanding of common tooling, machine options and features, types of cuts, basic lathe joinery for furniture making, spindle turning, bowl turning, and more! Both days will begin with a morning presentation and Q & A session, followed by hands-on learning at the lathe. Materials are included. Each student will be provided with an Introduction to Woodturning Information Packet and will keep the woodturnings they make in the class. Samples will include a bead and cove set, cylinders, cones, joinery samples, and a completed wooden bowl. We look forward to meeting you in person, please call today to reserve your spot – seats are limited and fill very quickly!